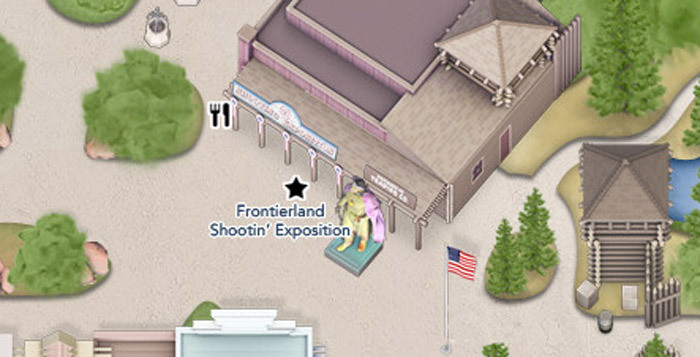 I consider the Shooting Exposition to be the main attraction of the main street of Frontierland. it is a target practice experience, similar to what you'd find at a state fair or carnival. It's one of the only places in Disneyland where you need quarters to play. It is decorated in American colors. There are about a dozen light guns available. It is probably most fun when they are all in use. The Shooting Gallery is situated between the Westward Ho Trading Company and Rancho del Zocalo Restaurante.